Jhana is an eighth grader aspiring to become a dolphin trainer. She admits that in preparation to become a dolphin trainer, she has flushed goldfish down the toilet on several occasions after finding it floating at the top of her fish tank. Yet with all the pride and joy this little princess possesses, there is still a painful hole in her heart. A hole the size of a father. Jhana’s dad was incarcerated for life just a few months before she was born. Jhana has never spent quality bonding time with her father outside a prison visiting room under intense surveillance by prison guards. During Jhana’s one-hour visiting sessions with her dad, she would often sit next to him, climb up his leg to the top of his head as if he were a powerful oak tree, or snuggle in his gentle arms while he read to her. But this only lasted until Jhana’s seventh birthday. Minnesota Department of Corrections (D.O.C.) visiting rules required visitors over the age of six to remain seated a few feet across from the inmate. Other than a short hug and kiss on the cheek at the start and at the end of a visit, physical contact is prohibited. Jhana always entered the visiting room out of breath from sprinting down the hallway in anticipation of seeing her dad. She always exited the visiting room an hour later, somberly walking back down that same hallway, wishing for more than just one hour with her dad. In the U.S., one in nine African American children have a parent in prison. Over 16,000 children in Minnesota have an incarcerated parent. My daughter Jhana is in that group. In Minnesota, children with a mother in Shakopee prison, the only women’s prison in the state, are granted the opportunity to spend a weekend in dormitory style housing with their mother. But the D.O.C. will not allow a sweet, childlike Jhana the same opportunity because of my gender. There is no family visiting program in any of the male prisons in Minnesota. In “What About Us,” an article in the December 21 issue of The Nation magazine, Ann Adalist-Estrin, the director of Rutgers University National Resource Center on Children and Families of the Incarcerated, indicated that prison visiting programs such as Shakopee’s contribute to the healthy cognitive and emotional development of children with incarcerated parents. Cris Hayes entered Rush City prison when he was 24 years old. His father, who has been incarcerated since Cris was seven, was also in Rush City Prison at the same time. I asked Cris about extended family visitation and the role it could have played in my life. Tom Roy, Minnesota D.O.C. Commissioner, publicly stated in an interview with the MSR (“When punishment goes too far,” April 21, 2016) that “It is important to recognize that long periods of incarceration and separation from family can negatively impact the health of children in those families.” However, he has yet to take action and implement policy changes that reflect his words. The overwhelming majority of children with an incarcerated parent have an incarcerated father. If Commissioner Roy would allow these children the same opportunity he allows for children with incarcerated mothers, it would contribute to the positive development of our children and safer communities. 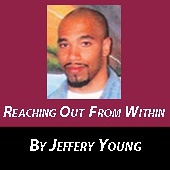 To support the children who would like extended family visits with their incarcerated father, contact D.O.C. Commissioner Tom Roy at 651-361-7200. Hold Commissioner Roy accountable for what he says. Your activism may decrease the violence in our streets and positively change the life of one of the 16,000 children with an incarcerated parent. Hi Jeffrey, this is your aunt Beverly, Your uncle T.C. I have been married for 48 years believe it or not. That’s been over more than your lifetime. I think your dad was only about 12 or 13 years old when I first met him. Thank God that he was a strong presence in your life as well. I believe that’s where you may get some of your ideals from. Our children are very blessed to have had their father in their lives their entire lives. Believe it or not we all care and love you very much. You know you have a large family and I don’t know all of them. The ones I know love you very much. What you are doing with your writings is amazing! It may not feel like a lot to you but just think if it even reaches one child or the parent of one child it could make a miraculous difference in that life. I love your analogy of your daughter climbing up an Oaktree. Because the Oaktree starts from a very small acorn. That’s what your writings may seem like right now. It may seem like a very small part of the great change that must take place for children of incarcerated fathers. You’re accomplishing a great part of what will make a tremendous blessing in many lives for the better. Please know that our prayers are always with you and other families in the same crisis. Thanks so much for not only keeping in touch in this way but informing the world. This can influence how we vote for change. It may even cause a detour in someone’s life who is headed down the wrong road.